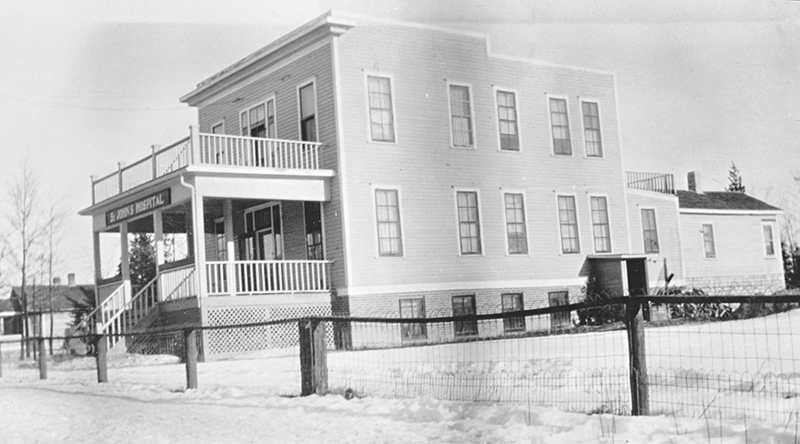 The Sisters of Service came to this railway junction on October 19, 1926 to reopen a vacant two-storey frame hospital and to provide health care in west central Alberta. 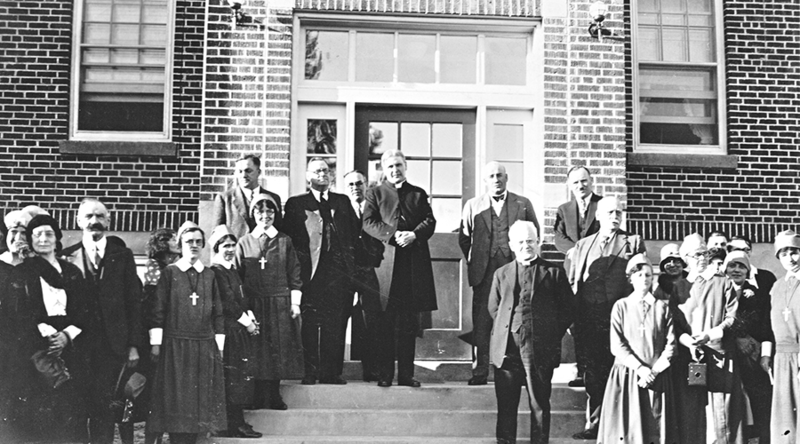 Archbishop O’Leary of Edmonton blessed and officially opened the newly-named St. John’s Hospital on December 8, 1926. 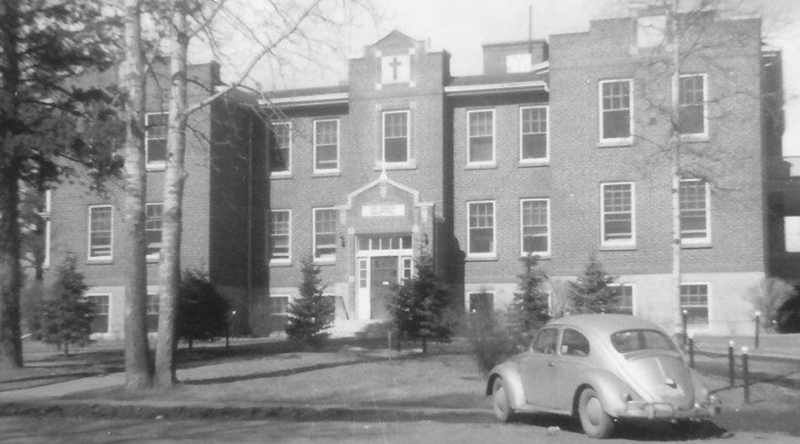 Although inadequate, the hospital served Edson and the surrounding area until the Sisters replaced it five years later with a 37-bed two-storey brick structure. 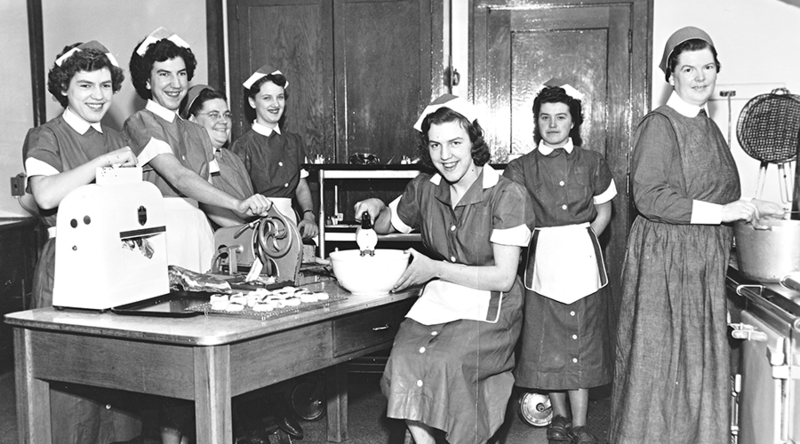 Up to 12 Sisters staffed the hospital as nurses, dieticians, x-ray technicians and office staff with the assistance of lay doctors, nurses and support workers. 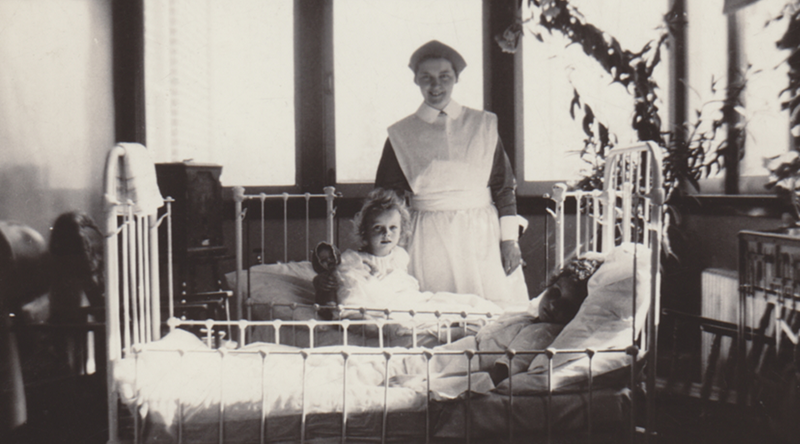 The Sisters converted the first hospital as their residence. 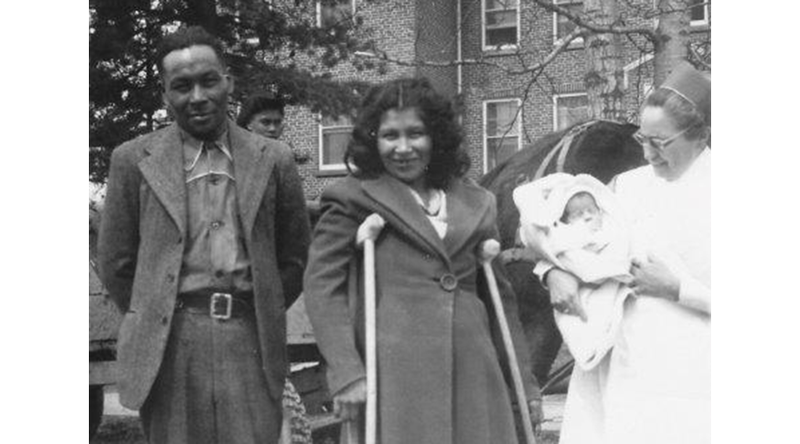 The only large facility between Kamloops, BC and Edmonton, St. John’s Hospital served the miners from Coal Branch, lumbermen from surrounding camps, farm families and local residents. 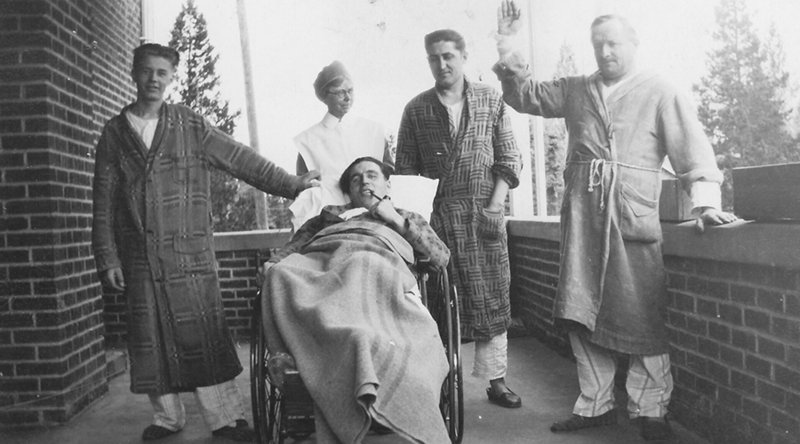 From 1928 until 1970, the hospital treated 47,300 patients. 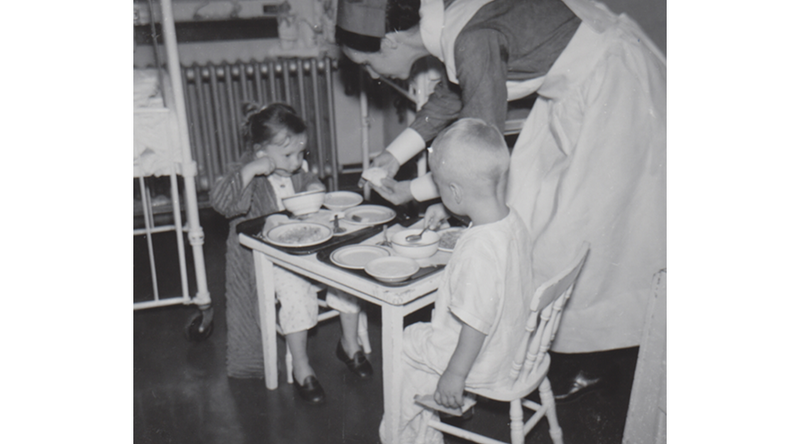 Sister Mary Halder joined the staff of the Alberta Rural Development Program (ARDP), established in the Edson area, as coordinator (1967-1972) of the Home Visitor’s Program, providing total health assistance from nutrition to counseling. 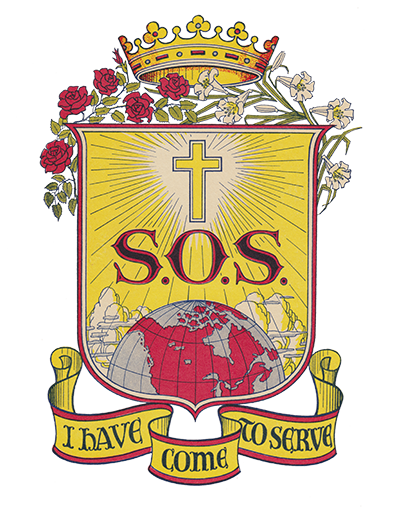 Through the years, the Sisters also took an active part in Sacred Heart parish and other local parish communities. Weekly religion classes were conducted during the school year. 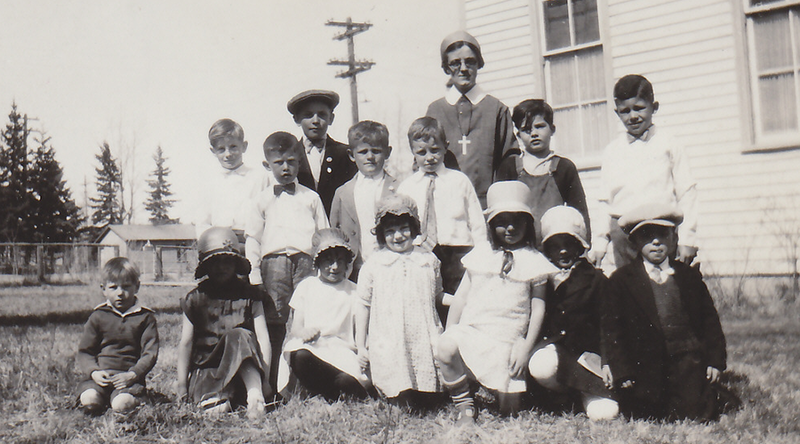 Each summer, the Sisters taught catechetics and provided sacramental preparation to the children in the surrounding areas. 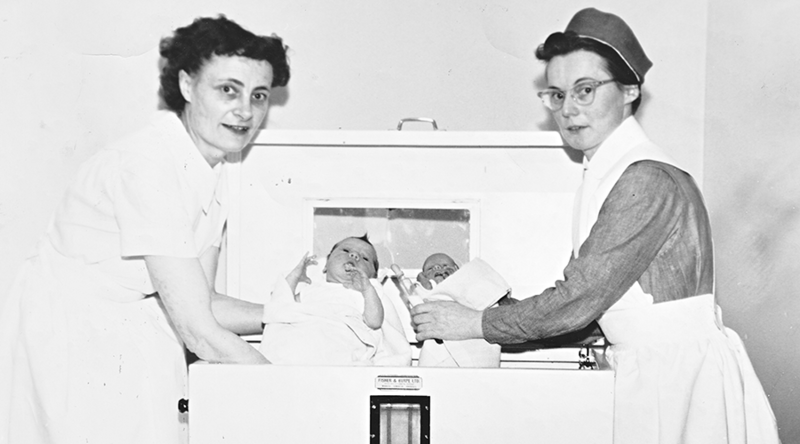 A third St. John’s Hospital with 50 beds opened officially in December 1969 and was funded by the Province of Alberta as the federal national health program assumed responsibility of facilities. The two former hospitals were demolished. 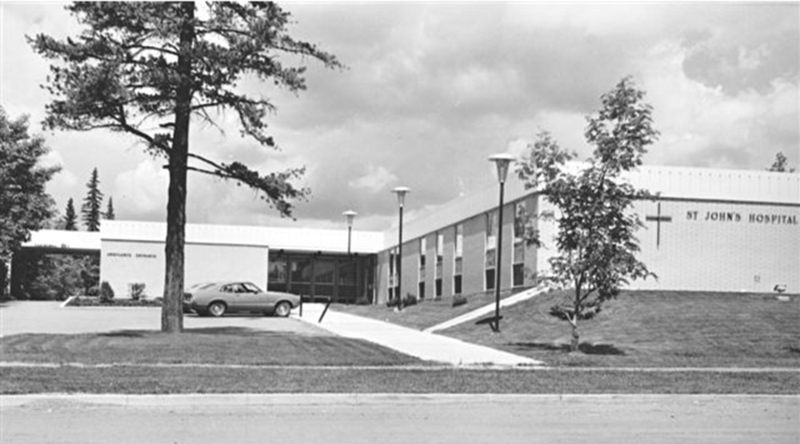 An extended care facility was attached to the hospital and was completed on September 19, 1980. 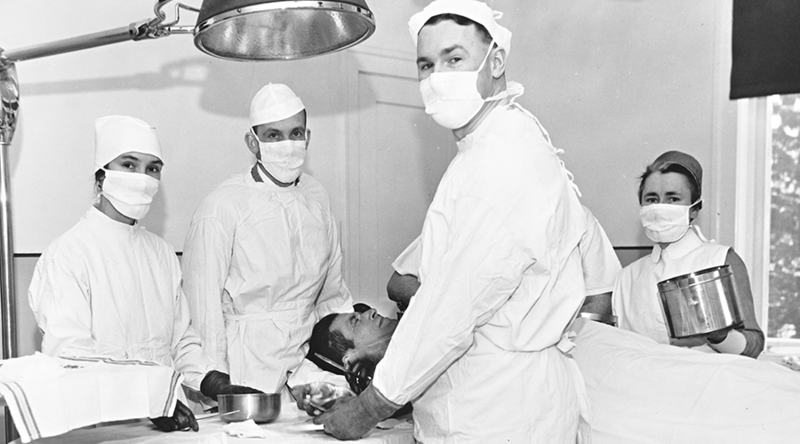 This brought the total bed capacity of the St. John’s health care complex to 106. 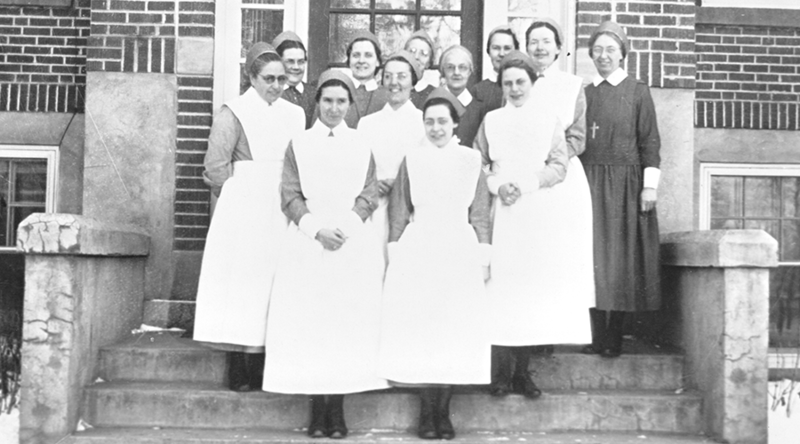 The Sisters withdrew from administration in favour of the Edson municipality in April 1991 and transferred the ownership of St. John’s Hospital to the Alberta government. 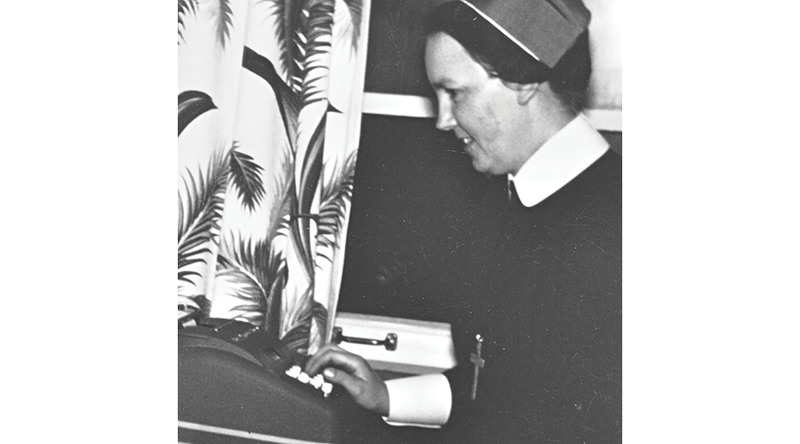 Two Sisters remained, serving as Eucharistic and music ministers at Sacred Heart Church, in the hospital and nursing homes as well as providing religious instruction. 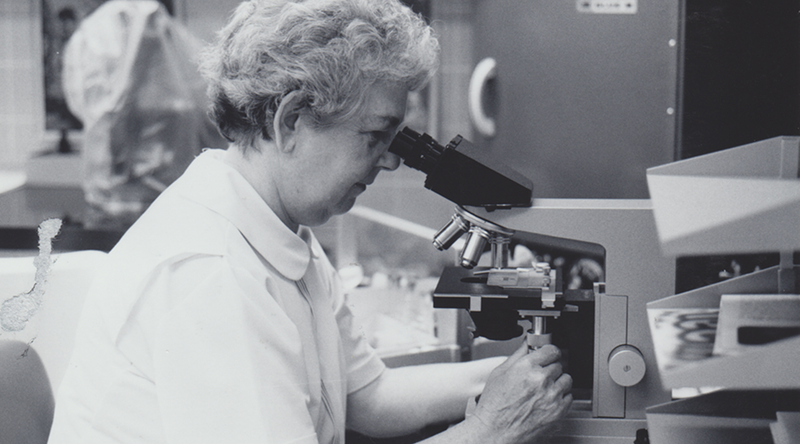 A legacy from Sister Evelyn Tunney, who worked in the hospital's office (1956-1975), partially covered the cost of stained-glass windows donated in 2004 to the church. 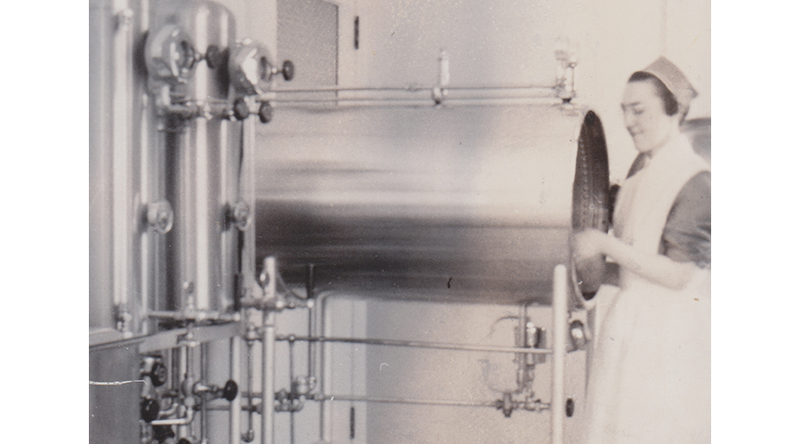 In recognition of Sister Hermine LaMothe’s 43-year contribution to the community, the town of Edson named a subdivison and a street in her honour. 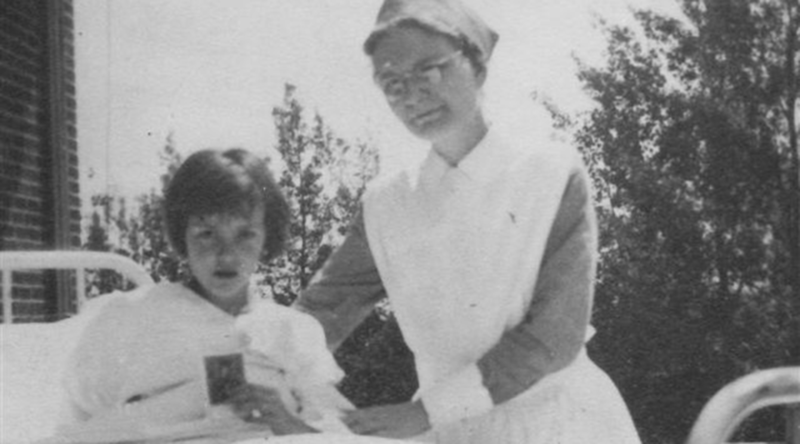 Sister Kathleen Allen was honoured as the town’s senior citizen of the year in 1995. The mission closed in the summer of 1997.